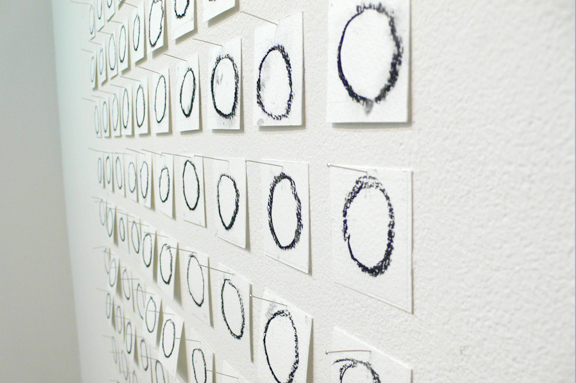 tracing moving circles (100 circles for the mind) (2010), is an instructional score for gallery preparation and exhibition that treats the relationship between action and recorded trace as evidence of work. In this work, a single volunteer undertakes the performative action upon receipt of a set of instructions. 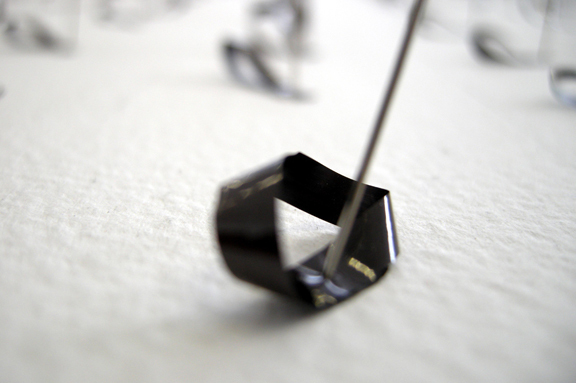 The volunteer is asked to acquire a three-minute endless loop cassette and use a dictaphone cassette recorder to document the sound produced as they draw one hundred circles on one hundred small pieces of paper over a period of time not to exceed the duration of the tape. 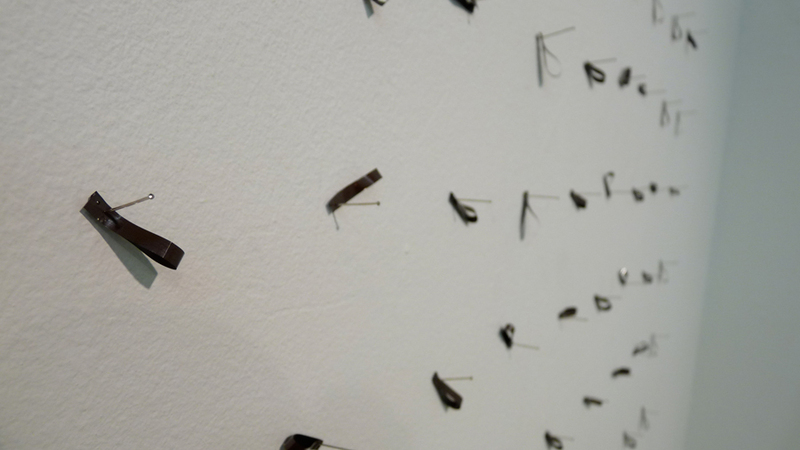 The tape is then cut into one hundred equal pieces and pinned next to the drawings in the gallery, alongside the instructions, the piece of charcoal used to draw the circles, and the empty cassette housing. In this work listening becomes an act of evocation, for the audience as well as the volunteer it is an unrecoverable but palpable action that is set in motion by the artifacts on display.